This statement by the cultural critic Georges Bataille may seem extreme, but it is both literally true and symbolically revealing. The founding of the Louvre Museum in Paris is directly connected the French Revolution, whose supporters used the guillotine to execute their enemies. More broadly, museums are tightly intertwined with politics and the expression of power. The case of the Louvre reveals those connections across a span of over 200 years. 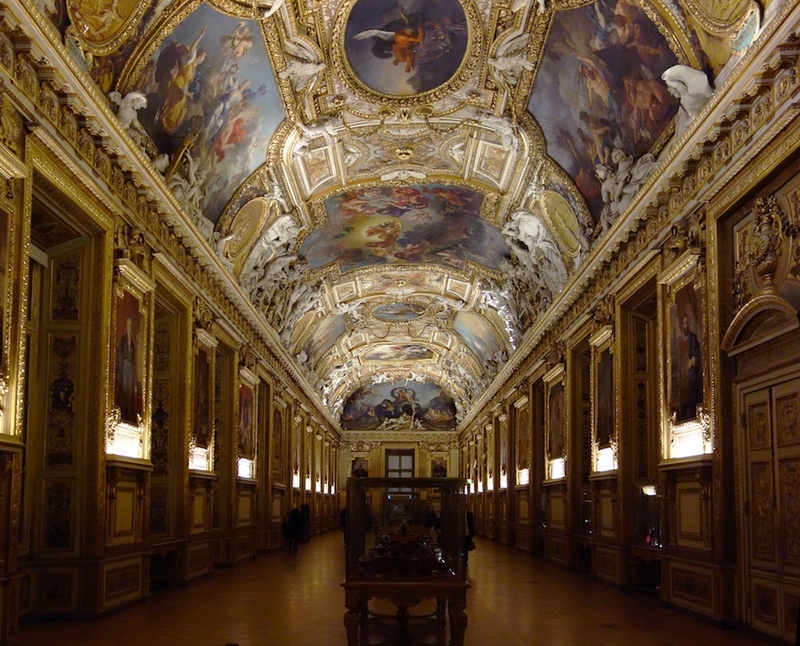 Before it was a museum, the Louvre was a palace and the seat of the French monarchy. It began as a fortress built soon after 1190, strategically located on the banks of the Seine River. The location offered a lookout and protection for the king, Philip Augustus. 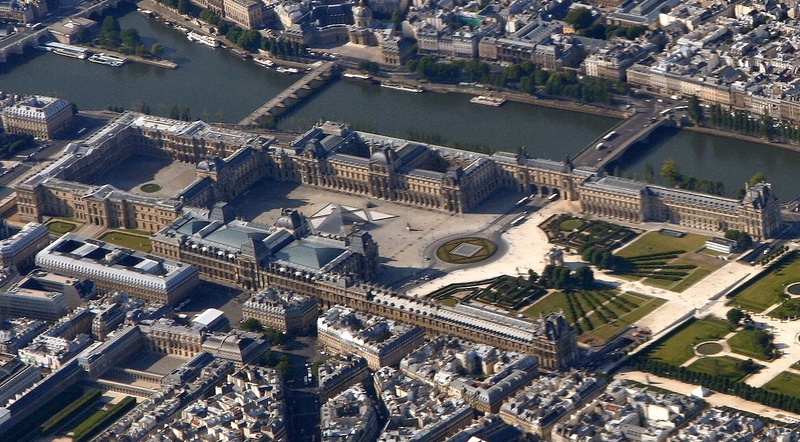 As the monarchy consolidated power in Paris, the Louvre was enlarged to accommodate a growing court. The massive structure we know today is the result of centuries of expansion. The name “Louvre” has not changed, though its origins—associated by some with loup (wolf)—have been lost. 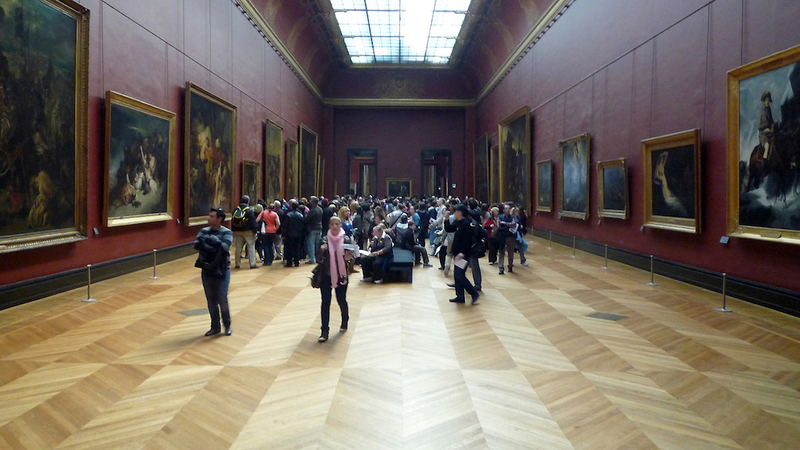 Although not intended as a museum, the Louvre has long been a container for art. Across the globe, monarchs use collecting and display to proclaim their wealth, power, and accomplishments, and the French were no different. Members of the court and esteemed guests might have the chance to see the king’s renowned collection of ancient statuary as well as his galleries of paintings, sculpture, decorative objects, and technological wonders. 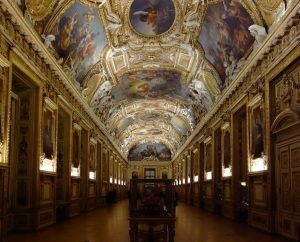 The greatest artists of the day decorated the interior of the palace, creating a dazzling frame for the royal collections. To observe the king surrounded by great art was to understand his might, not to mention his good taste and learning. In France, art production was often controlled by the state—that is, by the king and his cabinet— so the Louvre again played an important role. It was the seat of the Royal Academy of Painting and Sculpture (established 1648), the agency that oversaw the training of artists, art criticism, art exhibitions and sales—and thus the very form of art itself. 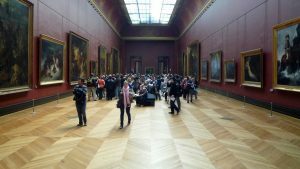 Members of the Academy met at the Louvre to debate what types of art were officially acceptable, and select members of the public were invited there to see state-sanctioned art. Although these gatherings, called “Salons,” are ancestors of today’s art exhibitions, their contents were carefully managed and visitation was limited to the elite. Thus, even as a display space the Louvre remained a fortress, overseen by the ruling class and largely inaccessible. When revolution broke out in Paris in the 1789, the monarchy and clergy were the chief targets of popular anger. The most famous tool of the French Revolution, the guillotine, was used to chop off heads quickly, efficiently, and dramatically. 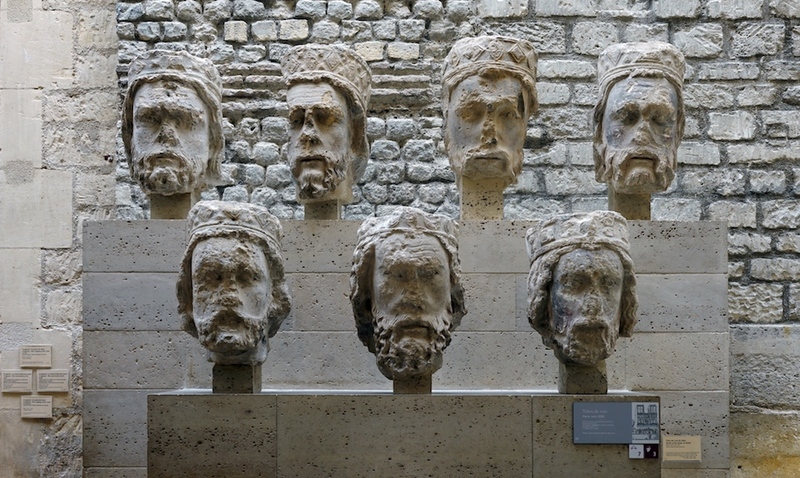 A less bloody but similarly powerful tool was the control of art: famously, the heads of the biblical kings that ornamented the cathedral of Notre Dame, mistaken by many for French royals, were violently removed. In addition to these symbolic acts of destruction, the revolutionaries sought to control the display of art by looting collections and taking control of historic and sacred sites. Churches and palaces were nationalized and that famous former fortress—the Louvre—was remade as a public museum. This transformation was highly visible and extremely significant. 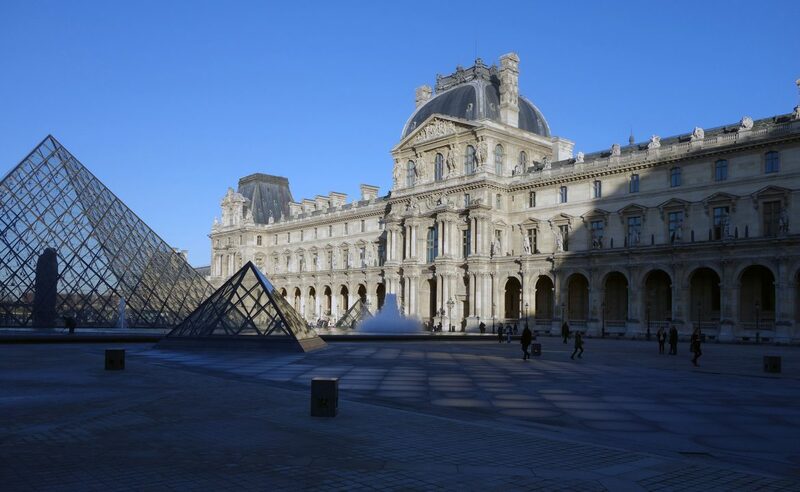 Once the home of the king and the house of his private treasures, the Louvre Museum was now open to all and those same treasures put on public view. The revolutionaries sought to underscore the symbolism of these changes. They inaugurated their museum on August 10, 1793, the first anniversary of the expulsion of Louis XVI, the last king, and placed an enormous plaque announcing their gesture over the door to the Gallery of Apollo, a royal reception hall originally dedicated to Louis XIV, the so-called Sun King (today it holds the crown jewels, sealed under glass). Any citizen with time and interest could visit and the message was powerful: the monarchy is dead, its fortress breached, and its material possessions are the property of the people. This was not just a claim about wealth; it was also a statement about civilization, democracy, and education, a triumvirate we know as the Enlightenment. Visitors to the Louvre Museum were led through the development of art from ancient Egypt to Greece, Rome, and the Italian Renaissance. This chronology, laid out in the Louvre’s massive corridors, culminated in French academic painting, the manner promoted by the Royal Academy and its official Salons (exhibitions). A visitor who followed this path participated in what has been described as a “ritual of citizenship,” tracing a hierarchy in which France was represented as the rightful heir to these earlier traditions, the apex of aesthetic progress—and of civilization itself. 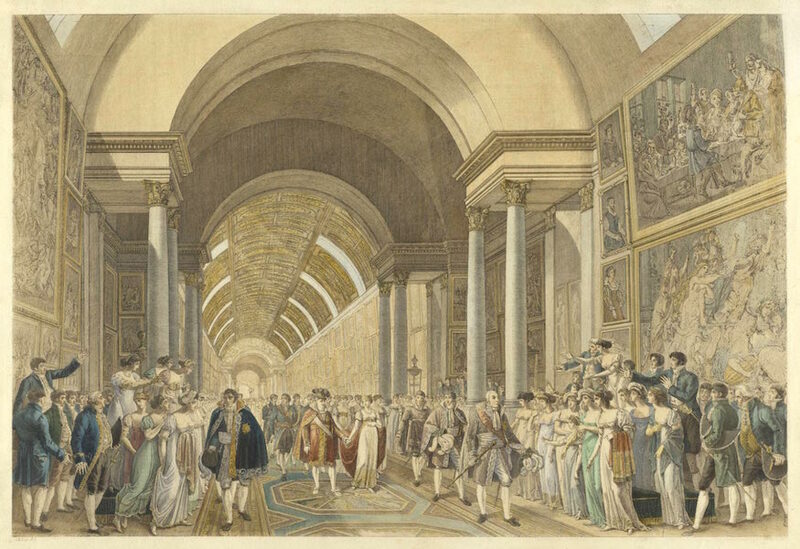 Napoleon Bonaparte brought a similar attitude to his collecting activities and use of the Louvre Museum. A military leader who rose through the ranks to be crowned Emperor of France in 1804, Napoleon fully understood the potential of art as a sign of majesty and the place of the Louvre in that story. In addition to ornamenting its halls with his personal insignia and using it for his own glorification (including an elaborate wedding to his second wife, Marie Louise of Austria), he treated the Louvre as a trophy case, filling it with booty hauled back from his military campaigns. Statuary from the papal collections at the Vatican, an ancient quadriga of horses from the church of San Marco in Venice, and archaeological finds from expeditions to Egypt were literally paraded into Paris and put on pedestals in the Louvre Museum. Napoleon’s propaganda machine spread the news of his acquisitions, proclaiming France the “New Rome.” After his fall and exile in 1815 many, but not all, looted objects were returned to their previous owners. What about the art of Africa, Asia, Oceania and the Americas? 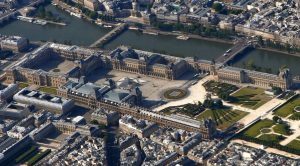 A question that has challenged the Louvre Museum from an early date concerns the sort of art it should display. The traditional pillars of Western art (Egypt, Greece, Rome, Renaissance Italy) were long part of the collection and French art was an obvious inclusion. But other cultures were contested, most notably those not considered part of the Western canon such as art from the French colonies of the nineteenth century. 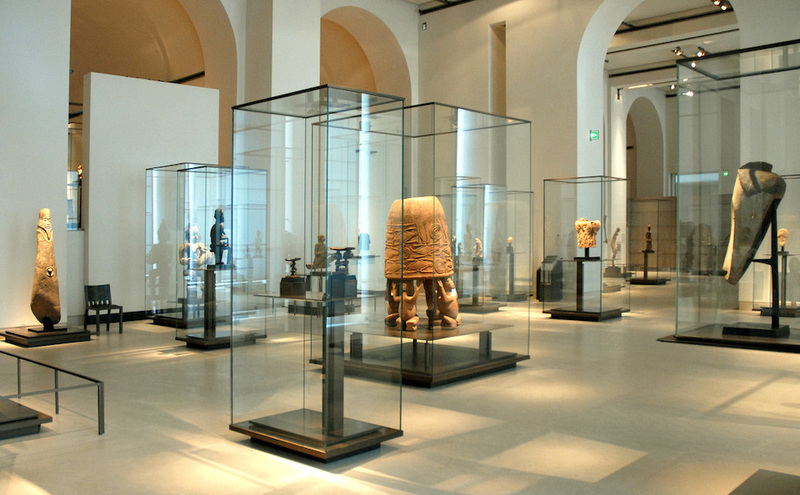 African objects, for example, were rejected, ending up instead in places like the Trocadéro, an exhibition hall built for the World’s Fair of 1879. There, in an international context dedicated to industrial development, they were interpreted as “primitive” objects, in contrast with technological and aesthetic wonders attributed to Europe. Many ended up in the Musée de l’homme (Museum of Man), an ethnographic museum that treated them as instructive rather than inspirational. 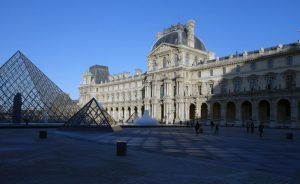 By favoring some objects and excluding others, the Louvre Museum was doing much more than controlling what hung on its walls: it was deciding what was “art.” These judgments were in keeping with broader prejudices of the time, which considered cultural traditions outside Europe to be of lesser quality, value, and importance. 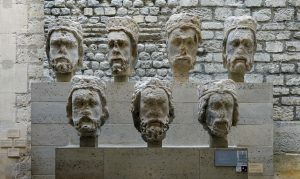 And although these categorizations go back centuries, they continue to impact the museum world today, particularly as France and other Western nations wrestle with their colonial past. 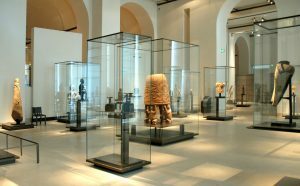 In the 1980s, a serious push to include African art in the Louvre led to the opening of the Pavillon des Sessions (2000), galleries in the Louvre devoted to the arts of Africa, Oceania, Asia, and the Americas. Though elegant and spacious, these galleries are so far off the museum’s beaten path that they are little visited and little known. In 2006, responding to critics who demanded political justice in the form of a museum dedicated to those neglected traditions, the French government opened the Musée du quai Branly on a prime piece of Parisian real estate near the Eiffel Tower. Despite its grandeur and centrality, many see the exile of certain cultures to the Musée du quai Branly as another form of marginalization, preserving colonial-era attitudes and prejudices. Today the Louvre is wildly popular, drawing millions of tourists every year and continuously trying to adjust to the onslaught of visitors. Architect I.M. Pei’s new entryway was a controversial first step, situating a gigantic glass pyramid at the center of a Renaissance courtyard to funnel in visitors more efficiently and give access to a modern, full-service atrium. In 2017, hoards of visitors follow lightning tours (“Mona Lisa, Venus de Milo, Nike of Samothrace, and outta here”), wield selfie sticks (now banned) and fan out in the adjacent underground mall to eat, shop, and recharge phones. Some say the Louvre is being transformed from an art museum to a tourist attraction, from a place of education and quiet inspiration to an entertainment venue; others decry this attitude as a vestige of the elitism of the French monarchs. In fact, this debate over the root value of museums and their collections is playing out in museums all over the world. 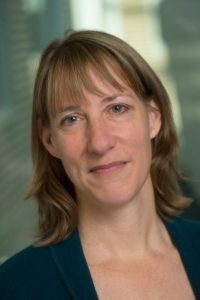 At its core are profound questions about power and authority. Those who control art—its form, placement, availability, and definition—control a significant part of the cultural narrative that defines who we are and our relationship with the past. Should this control rest primarily with curators and scholars, or should those professionals pay more attention to the voices of the crowd? Wherever you stand on this question, the case of the Louvre makes clear that the complex, uneasy relationship between art museums and politics is nearly as old as the palace itself. Carol Duncan, Carol, Civilizing Rituals: Inside Public Art Museums (London and New York: Routledge, 1995). Andrew McClellan, Inventing the Louvre: Art, Politics, and the Origins of the Modern Museum in Eighteenth-Century Paris (Berkeley: University of California Press, 1999). Sally Price, Paris Primitive: Jacques Chirac’s Museum on the Quai Branly (Chicago: University of Chicago Press, 2007).